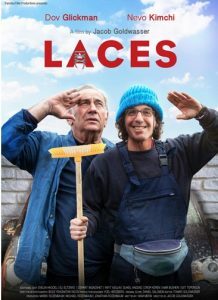 Laces was one of 5 films nominated for Best Picture for the 2018 Ophir Awards, Israel’s Oscars. On the death of his mother, Gadi, who has a disability, has to move in with the father who abandoned him when he was a young child. Director Jacob Goldwasser has a son with disabilities, and the film raises challenging questions about our attitudes to disability.